The goal, according to the For Freedoms co-founder Eric Gottesman, is to make ‘anti-partisan’ statements on the billboards, alongside art exhibitions, installations and public programs to deepen what he calls ‘civic participation’. 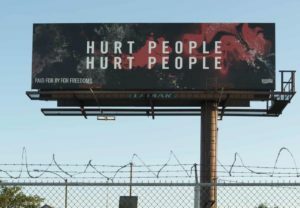 Luis Jacob, a Canadian artist, is showing a billboard in Vermont entitled Land Acknowledgement, which reads Abenaki, the name of the tribe based in the region. ‘This piece engages the politics of indigenous land sovereignty on colonized territory,’ said Jacob, who teaches art at the Vermont College of Fine Arts. Sanford Biggers, Just Us (West Virginia). Photo courtesy of For Freedoms. 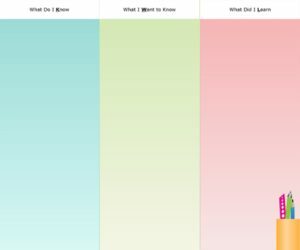 Directions: Have students use the KWL chart to list the information they already know about political billboards. Later in the Post- Reading segment of the lesson, students can fill in what they’ve learned about the topic. This is America’s most ambitious public art project. The crowdfunded spectacle allows artists to have their say.and perhaps their influence. 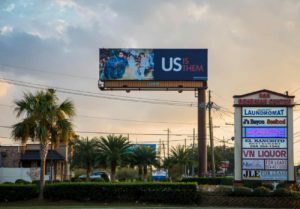 Each billboard is emblazoned with the For Freedoms logo. Some find the artistic concepts behind the images beautiful. 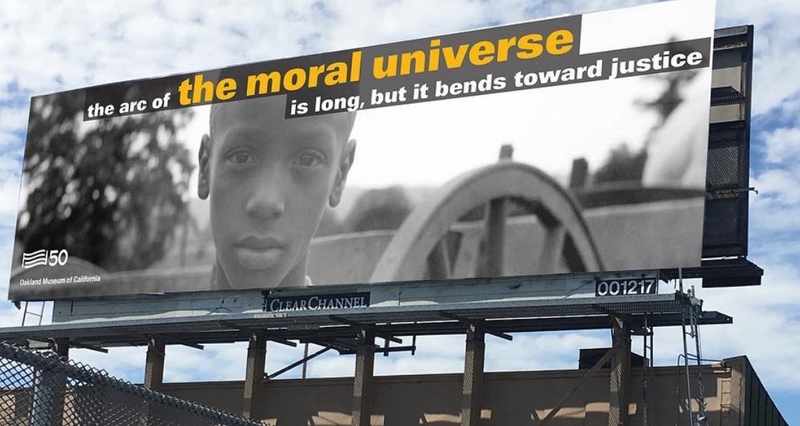 The billboards are intentionally timed to coincide with the 2018 midterm elections. When artists get engaged, the conversation changes. It’s important for artists’ voices not to be marginalized. This piece engages the politics of indigenous land sovereignty. We want to add more nuance in the kind of conversation we have in public about these issues. 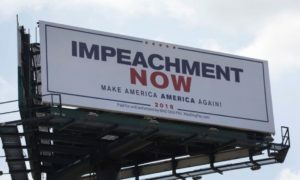 People are taking notice as to what these billboards mean in the context of what’s happening today. There are more than 50 ___designed by ___, which will be up through the end of November. More than 200___and 400 artists across the ___will be hosting talks, ___and exhibits related to ___art in ___with the organization. Directions: Students choose the correct word to complete the sentences taken from the article. They are to choose from the options presented. 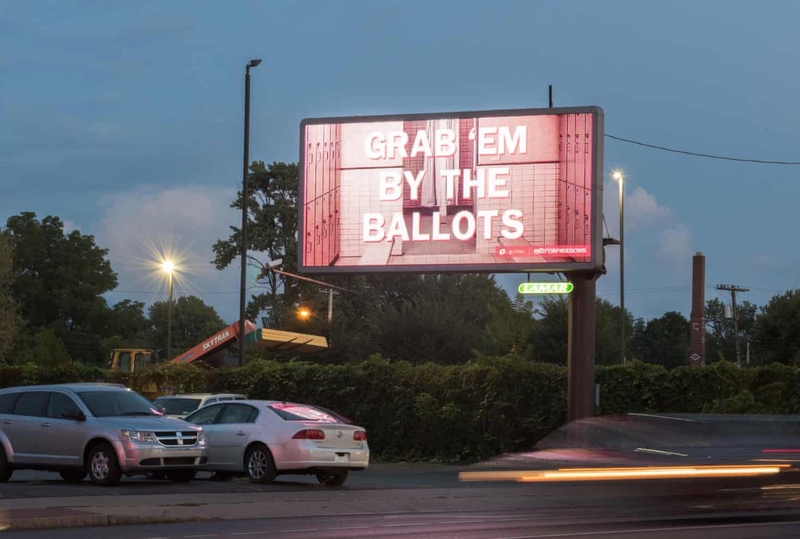 The article states, “It’s not just voting, it’s about using our voices to speak up about the things we feel strongly about…We believe all art is political, so when artists get engaged, the conversation changes.” Do you agree that all art is political? Provide reasons for your answer. 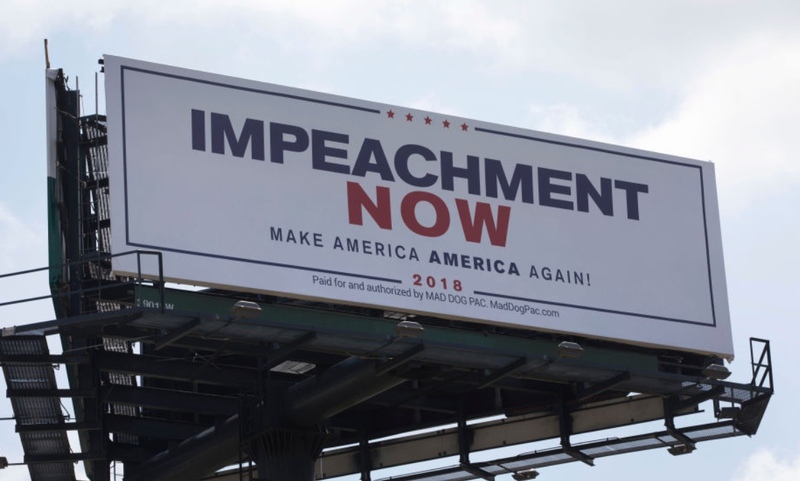 Overall, are political billboards by artists helpful to potential voters? Provide reasons for your answer. 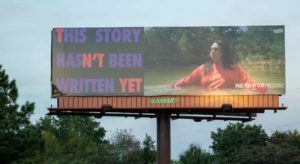 Directions: In groups, have students choose 3 or 4 of the billboard signs presented in the article. 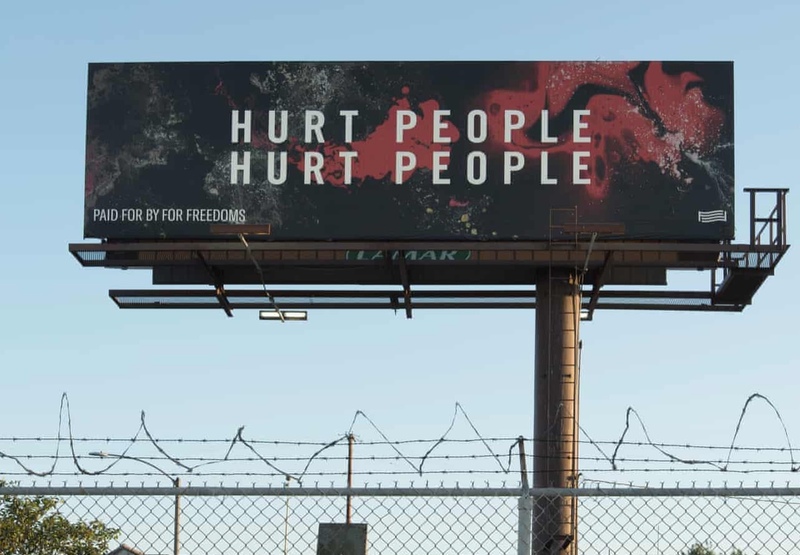 Then have them discuss what they think the message is for each billboard. Share answers with the class. Directions: In groups, have students create their own billboards on any topic they like. Group members may use the web for additional information. Have students draw and color their billboards. After, all billboards can be shared by the class or the school. Directions: Allow students 1 minute to write down one new idea they’ve learned from the reading. Ask them to write down one thing they did not understand in the reading. Review the responses as a class.